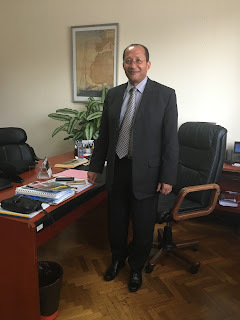 Thanks to the professional social networking platform, LinkedIn, I connected with Joël Roux, General Director of CFAO Technology Cameroon. Later, during a stay in Douala, I had the pleasure of meeting him in person. Many of us wonder about the information technology and especially web access capacity of Sub-Saharan Africa. A while back, I wrote about IBM in Africa but was still searching for more in-depth information. Mr. Roux kindly accepted my request for an interview. Of course, he, also, is bound by his organization's confidentiality clauses, but he offered some additional insight. First of all, what is CFAO and its history? Formerly known as SCOA, the company was founded in 1881 in St. Louis, Senegal. It used to be a trading company between Africa and France. It was renamed CFAO in 1887. In the meantime the company grew to be a multinational conglomerate represented in 34 African countries, 7 French overseas territories, Vietnam and Cambodia. Over 12,000 staff members work in 145 operational units. Currently 97% of the capital is held by the Toyota Tsusho Corporation. CFAO Technology covers technology integration, consulting, information services and network management. CFAO Technology Cameroon built several data centers in Cameroon. Joël Roux's background Mr. Roux started working at CFAO in February 2004 as General Director of the Senegal Technology subsidiary. After two years in Senegal, he spent three years in Ivory Coast, and five years in Algeria. He has been working in Cameroon for the past three years. Prior to his CFAO positions, he worked at Cisco and Unisys. Cameroon's Internet access The latest estimates of Cameroon's population state 24 million. 21% accesses the internet (around 5 million people). Comparatively to other Sub-Saharan French-speaking countries, Senegal's internet access is around 50.7% of a population of 14 million people, and about 30% in Ivory Coast, a country that has a similar GDP to Cameroon. Cameroon appears to be lagging behind, however, in the past five years the percentage doubled. Smartphones are becoming more easily affordable; this fact coupled with better 3G and 4G availability have boosted internet access. Cameroon currently has four cellphone service providers: Camtel, Orange, MTN, and Nexttel. They cover much of the territory. There are multiple special offers, and prices are getting lower; access is improving thanks to fiber optic lines in the larger cities. All points towards great improvement in digital access. Information technology and telecommunications should see more rapid improvement, thanks to the above factors, as well as the fact that Cameroon currently boasts good local technical colleges, that will bolster the labor pool in these specialized fields. - Many call centers serving Sub-Saharan Africa are located in distant countries. In Morocco, however, these centers are increasingly located within its territory. Ever since smartphone usage became more common, internet access grew along the same curve as the sales of smartphones. All over the world, it is easier to access the internet through a mobile device than via a computer. * In Joël Roux's opinion, mobile telephone access has been the most important factor in Morocco's more rapid growth of information technology and telecommunications in comparison to Sub-Saharan Africa, but there is also the important role played by the Moroccan population's higher purchasing power. In Cameroon, as elsewhere in the world, cloud storage utilization is becoming increasingly commonplace. Since several years, many banks and other large companies use online services for their information technology. In 2016 we started observing the emergence of Microsoft's Office 365. To store large data files, it has become more affordable to use online storage systems such as Box, Dropbox, or similar, rather than invest in local servers. As soon as an organization has efficient internet access, it becomes more cost-effective for them to use an on-demand storage service. It must be however noted that some "sensitive" information needs to be stored in-country, such as financial data. In Africa, these data residency laws already exist in Algeria and in Tunisia, and are in preparation in Cameroon, among other countries. 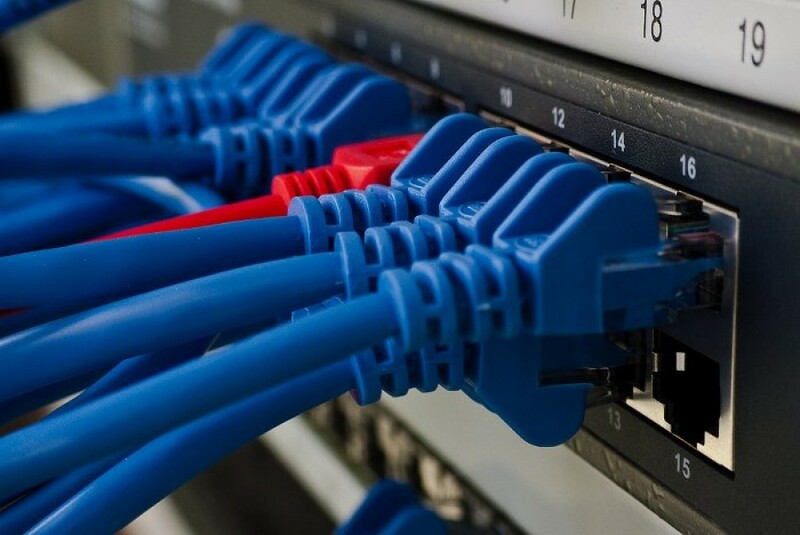 Senegal is already creating local data centers and Cameroon will most probably follow. CFAO has been in operation for over 160 years, and has evolved alongside technology and adapted to the reality of each country it is working in and using the most efficient technology possible to improve operations. Markets are increasingly joining the "shared economy." CFAO Technology will continue to improve its digital tools and resources in order to remain a leader in the fields it covers. As mentioned above, Central Africa is evolving at a rapid clip. The region's countries are all installing fiber optic lines in order to improve broadband access at a cheaper rate. Cameroon created an Internet Exchange Point (IXP) in order to improve the speed of communications and lessen the distances covered. It was inefficient and illogical for a message going from Douala to a user in Yaounde to go through Europe or the United States. Ever since the IXP was set up, financed by the Cameroonian government, all intra-Cameroonian messages remain in Cameroon; and thanks to improved access and the IXP, cloud storage is much more in use. It is our hope that local digital providers will continue improving service in the entire territory as well as decreasing consumer costs, so that more and more Cameroonians can access the internet. It is proven that increased internet access encourages economic growth. For many years, current thinking was that better content would drive higher usage of the internet. Joël Roux's personal opinion is that improved, and cheaper, internet access will bring the consequence of more young people creating tools better adapted to local needs. Joël Roux's comments above demonstrate his optimism relative to the future of the African continent, its young population. The capacity to accelerate development will increase with the tool of online access, that breaks international barriers, and can create unexpected innovation. The development of information technology must go through improvements in smartphones, which are often more powerful than small computers. Mobile devices are more accessible to the general population, are always connected, and although their storage capabilities are limited, cloud storage offers a remedy. We now live in an information era that knows no borders, no color, and no religion, offering us the prospect of forming a universal family. * The situation is similar in low-income neighborhoods in the United States, which is one of the reasons behind the Digital Van program at NY City Housing Authority, as it is difficult to write a resume on a smartphone, to take one example. The vans offer laptop and printer/scanner use and wireless internet access to residents of lower-income New York City communities. These past months, I read five novels, all written in the last ten years by African women from different English-speaking countries/regions. They were all interesting and engrossing, and cover a large swath of issues, especially the relationship between Africa and the United States of America (more directly in three of the novels). 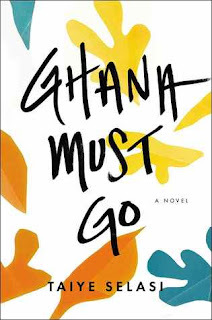 Americanah and Ghana Must Go both feature protagonists who live and/or have lived in the United States and in their African home country, in the United States for a long enough time to have enjoyed American success stories. 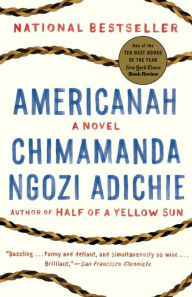 Americanah describes especially well the tensions in the relationships: between Africans from the recent diaspora and African-Americans, between blacks and whites, between African returnees to the "homeland" and those who never left. Behold the Dreamers, on the other hand, stars an immigrant family yearning for the American dream, and the lengths to which an immigrant will go to hold on to this goal. Homegoing was one of my personal favorites, although not all may concur with me. It weaves together the story of two branches of a family - one remains in Africa, the other, through slavery, ends up in the United States. 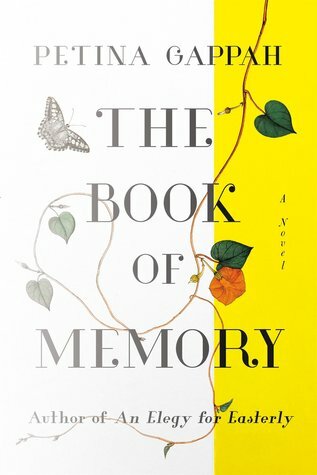 The Book of Memory is the least entwined with the world outside Africa, in this case Zimbabwe. However there are many references to the Western world (which can be confusing, especially towards the beginning of the book); but one of the main leitmotivs is the experience of being an albino in a land where the majority has dark skin. I thank Dr. Faith Adiele, Professor of African Literature at the California Center for the Arts, for introducing me to several of the books, and on clarifying the academic viewpoint on these novels. her book at the CCA. Update! 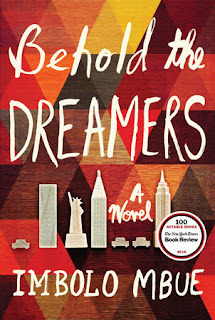 Oprah Winfrey selected Behold the Dreamers for her book club.